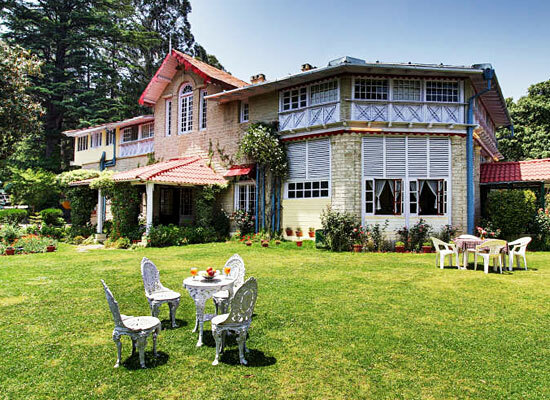 "One of the best heritage hotels in Ranikhet, hotel Chevron Rosemount was established as a hotel in 1900 at a wonderful location. The wrought iron grills, stone facade, window arcs, and vintage balconies add to the charming decor. 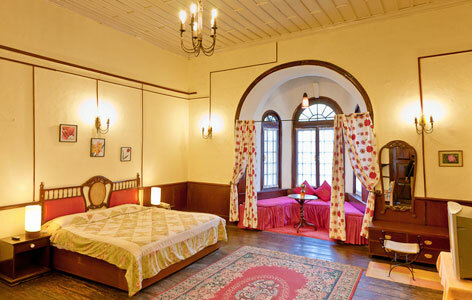 While preserving its old Colonial feel, the hotel offers a memorable stay to the guests, amid modern facilities, and flawless hospitality services. 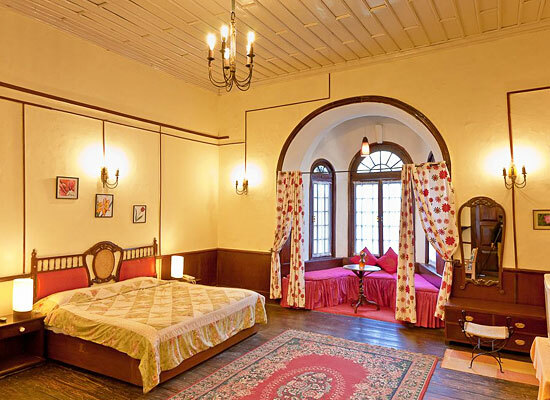 The accommodation is divided into rooms, suites and cottages, wherein all have a warm decor and well-appointed. At the in-house restaurant, the guest can relish sumptuous delights during all three meals. Originally Hotel Chevron Rosemount built by the British as a Hotel, Rosemount has always been a gracious host to visitors for the last 150 years. It weaves a web of astounding beauty of the mesmerizing old past. Rosemount is located in Ranikhet, only 7-8 hours by road from Delhi or a comfortable overnight journey to Kathgodam (the nearest railhead) by train and there after only 90 minutes drive by road. The standard rooms at the hotel are spacious and clean. Enjoy wonderful views of the surroundings during your stay. Placed in the annex building, these rooms have amenities such as attached bathroom with running hot/cold water, television, housekeeping, room service, king-size bed, wardrobe, telephone and so on. 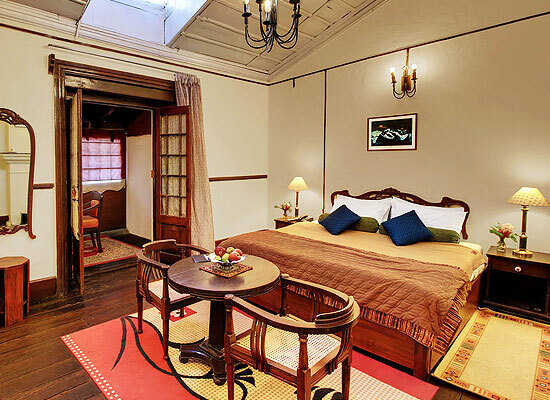 The super deluxe rooms offer breathtaking views of deodar and pine trees, surrounding the hotel. The rooms have all the necessary comforts and elegant furniture. Enjoy facilities such as en-suite bathroom with running hot/cold water, housekeeping services, king-size beds, wardrobe, television, telephone, wardrobe and more. Boasting of an elegant setting, the Nirvana Suite has a tranquil feel to it. Ideal for a couple, it has a number of world-class amenities such as attached bathroom with running hot/cold water, television, housekeeping, room service, king-size bed, wardrobe, telephone and so on. Lying amid the snow-capped hills of Himalayas, the stone cottage offers a stunning view of the picturesque landscape. This cottage can accommodate a family of four. The well-appointed accommodation comes with en-suite bathroom with running hot/cold water, housekeeping services, king-size beds, wardrobe, television, telephone, wardrobe and more. 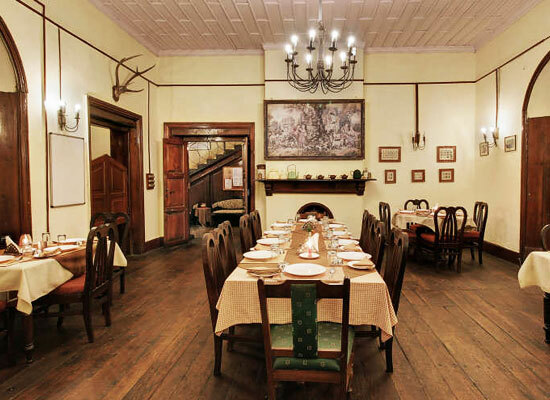 At the on-site restaurant hotel of Chevron Rosemount, Ranikhet, the guests can savor lip-smacking delights of Indian and popular world fares. The ambiance of the dining venue is warm. The food delights, during all the three meals, are prepared from fresh ingredients and aromatic spices, by the trained chef. Ranikhet lies along a ridge at an altitude of 1,830 m above the sea level. It is situated in the district of Almora in Kumaon Division of Uttaranchal. Once a British Cantonment, Ranikhet is now houses the Kumaon Regiment. It is covered with pine and oak forests and offers snow view from its northern side. Hera Khan Temple and Ashram is near the Chilianaula village 4 km from the Sadar Bazaar. Jhula Devi Temple is 7 km from Ranikhet. Uphat is 6 km from Sadar Bazaar on Almora Road and has the highest 9-hole golf courses in India.